In a recent court case, the Georgia Supremes held that a defendant’s outgoing text messages are admissible as evidence, but not the incoming text messages, since they are hearsay. What is hearsay? Hearsay is what someone else says that is not easily capable of substantiation. It’s when John says that Sally said that Joey took the cookies out of the jar. Sally is the apparent witness. Sally can be questioned (maybe) about the cookie theft. But John can’t really be questioned about it, can he? He didn’t see it, he only knows that Sally said Joey did it. So to get to the bottom of it, you have to ask Sally. But Sally has left the area and no one can reach her. Without other evidence that Joey took the cookies, Joey goes free. Unless Mom and Dad decide that John and Sally never tell a lie and thus Sally’s statement is true, and we all know that Joey can’t keep his hands out of the cookie jar. Good thing for Joey, in a court of law he couldn’t be convicted of the crime based on the hearsay rule. Hearsay is so well known that it is used in common parlance. I’ve had people tell me, in a meeting in my office (where the rules of court do not apply) that “they can’t say, because of hearsay.” I laugh and tell them it’s okay, they can tell me. That helps lead me to the right person who does know what happened. So back to the Supreme Court case. A guy named Glispie ran from the PoPo when they tried to stop him for a traffic infraction. One thing led to another and Glispie was eventually found. When they found him, they had obtained a search warrant for his phone. Upon searching it, they found numerous references to the drug trade. From that, they made a case on Glispie for sale of certain drugs. 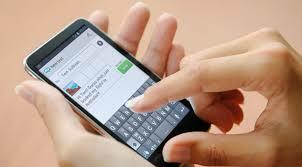 At trial, his incoming and outgoing text messages were shown to the jury. He was convicted. Glispie appealed to the Court of Appeals alleging that the text messages were hearsay. The Court of Appeals disagreed and held that both incoming and outgoing texts were admissible: “[p]retermitting whether the text messages constituted hearsay, they were admissible as an admission by a party opponent.” While that makes sense as to the outgoing text messages, assuming it can be proven that Gillespie was in charge of the phone during those times, it makes no sense as to the incoming text messages. Those are statements by someone else that may, or may not, be truthful, accurate or relevant. Gillespie appealed to the Supreme Court of Georgia. The Supremes ruled, correctly I think, that the incoming text messages still fall in the hearsay exception. Absent proof some other way, those messages are just not provable. So the Supremes let Gillespie go? Nope. They did the “harmless error” finding, which means, Gillespie was so guilty that even with this mistake made in trial, he was still guilty. Defendants are not entitled to perfect trials, just fair ones. But, hold on a minute. What if the text conversation went thusly: Doby – Where you at? Gillespie – Driveway. Doby – Did you outrun cops? Gillespie – Yeah, I ditched them. In that case, Gillespie’s text messages, without the context from Doby, make no sense. Are Doby’s text messages admissible to show context? I think so, but it’ll take another case to figure that one out.